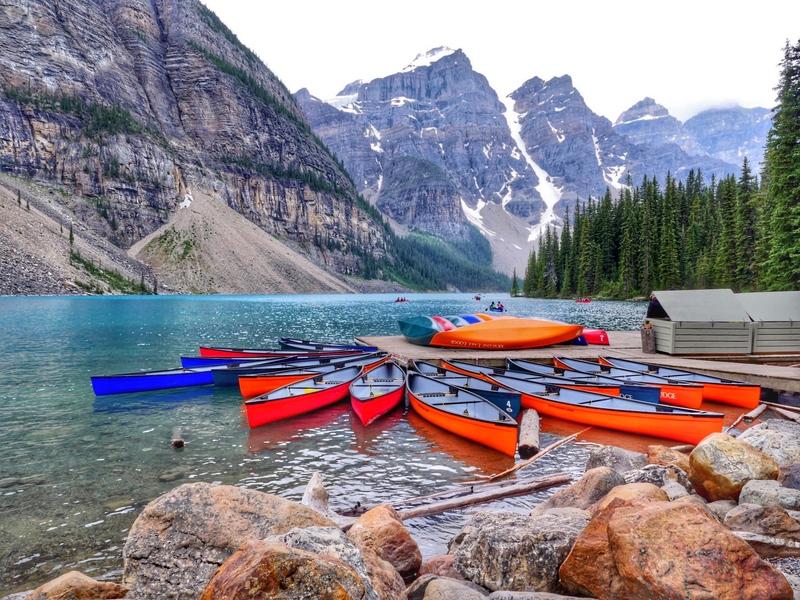 Anyone who lives in or visits Toronto knows that from June until September there are plenty of events to check out with your kids. But what if we had an event that would unite the city by getting people together for one day to make it a better place. That is exactly what the folks behind 100 in 1 Day are doing today in Toronto. What is 100 in 1 Day? 100 in 1 day is a citizen run festival that takes place in Toronto today (June 7th, 2014). People all over the city were invited to come up with ideas, called interventions, to highlight social issues, inspire people and change the way we look at problems in our city. I, like most other people, have heard very little about this event but I’m guessing by the end of the day most Torontonians will have seen at least one intervention. Where Is 100 in 1 Day? The best part of 100 in 1 Day is that it truly takes place in communities across Toronto. You can download a list of every activity or simply search the site for the one closest to you. The activities are grouped into four categories: entertainment, social change building connections and urban innovation. 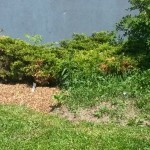 School Garden Weed-a-Thon: It’s as simple as it sounds. 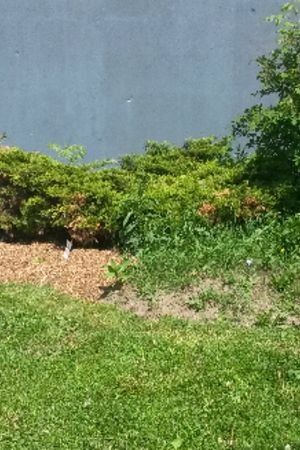 A school with four garden spaces overrun by weeds wants people to come and help pick them. Any easy and great way to help and meet your neighbours. 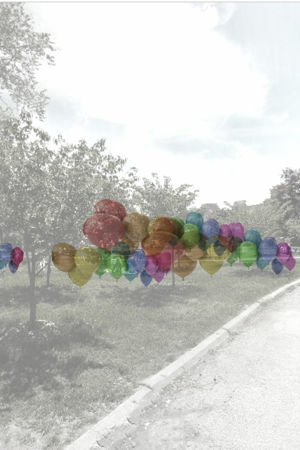 Balloon Forest: I must admit this is probably my favourite intervention. 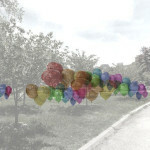 The organizers have created a balloon forest in the much loved Trinity Bellwoods Park in Toronto. The forest is made up of very colourful balloons and each balloon represents a part of Toronto from the waterfront to things like bike paths. Every participant is asked to take a balloon in the colour of something they love about Toronto and leave behind what they think needs improvement. At the end of the day the balloons left will demonstrate what needs to change in Toronto for citizens to be happy. City councillors and mayoral candidates take note. Pop-Up Play Place: There are tons of activities happening in my neighbourhood, the Beach, but I am guessing this is where we will spend the bulk of our time. The Beach Village has brought together citizens and shops to host a fun day for kids in Ivan Forest Gardens. Locals and visitors will be invited to mingle, play games, do crafts, blow bubbles, eat cookies and drink lemonade. My kids are going to love this activity. 100 in 1 day is taking place today in Toronto, Vancouver, Halifax and Montreal. If you see an event, or even better participate in one, add it to the social media conversation happening all over Canada today under #100in1day. You can also follow the movement on twitter @100in1dayTO or check them out on Facebook. At the end of the day come back here and let me know what events you loved in the comment section below. Happy 100 in 1 day Toronto! Photo Credit: All photos used in this blog post are credited to http://100in1day.ca/toronto/ as well as the contributors of the interventions mentioned above.